In Need of an Occupational License for Your Business? How Can FLUCI Help? 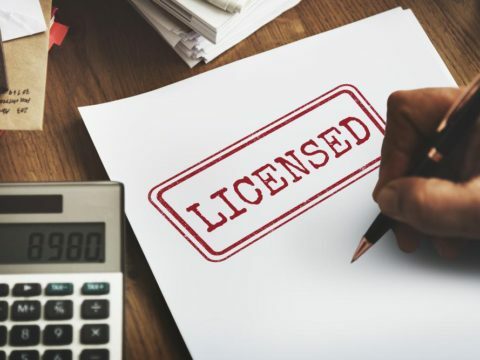 Many professionals and individuals that specialize in a specific area, such as drivers, nurses, midwives, teachers, lawyers, accountants, and doctors, are required to obtain licenses to practice in their line of work. These are known as occupational licenses, and each has its own requirements to obtain. To make the process easier, it is recommended to seek the help of Occupational License Consultants. Without your license, you cannot be referred to as a “professional”. The absence of that title can greatly hinder you when in search of potential clients. Unless you can ensure that you are a professional attorney or accountant, very few individuals will take the risk of working with you. After all, without the proof of knowledge and experience, there is no guarantee that a person is not doing business with an everyday amateur. Depending on the profession, the process of getting licensed may vary. In most cases, a specific exam must be passed before you are granted a license. However, the process is more intricate than you may think. In many areas of the country, employers and clients are very particular in the form of licensing required to practice your profession. For instance, Florida is incredibly strict in its rules and regulations. While you may believe that obtaining one license to practice in the state of Florida as a whole is sufficient, you are wrong. If you are offering your services in Coral Gables, you must obtain a license specific to Coral Gables. If you are looking for work in Miami Gardens, you must obtain a license from Miami Gardens, and so forth and so on. We know that this may seem like an overwhelming task, but that is where our Occupational License Consultants from Florida Land Use Consultants step in. Our team specializes in helping individuals such as yourself determine exactly what kind of occupational license you need. Once we know what you’re looking for, we will guide you through the process and ensure that you are fully prepared and documented. If you are a driver searching for the appropriate license needed to operate public transportation, we will do the leg work in determining what the first step towards reaching your goal may be. You will find that having a helping hand along the way to answer your questions and address any concerns can make a world of difference. Our clients tend to obtain their licenses quicker and with less frustration than those who decide to go it alone. Make the smart move and contact Florida Land Use Consultants for guidance from our Occupational License Consultants. We’ll have you up and running in no time at all! Give us a call at (786) 464-9254 or click here to contact us now! Do You Need a Special Event Permit? Here Is How to Find Out! Whether you have ever planned, played a part in planning, or simply attended a special event as a guest, it is fairly clear that the effort that goes on behind the scenes to ensure that everything goes according to plan is immense. It takes months of planning to oversee that all aspects of the event are handled. However, one crucial part that many individuals tend to forget, is the need to obtain Special Events Permit in Miami. 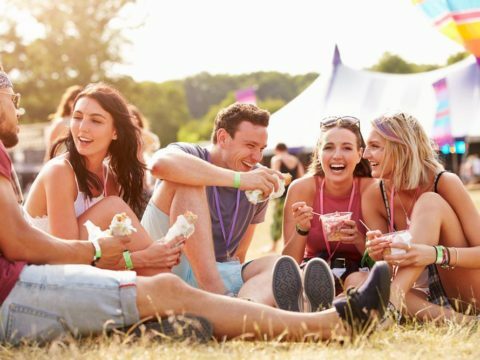 If any of the above points applies to your special event, you must obtain a permit. Again, those guidelines vary and it is important to check with the city in which your event will be held for specifications. Worried that you will make an error on the paperwork needed to apply for your permit? Can’t make any extra time to dedicate to this part of the process? Unsure of whether you even need a permit at all? Our experts at Florida Land Use Consultants are just who you need to put your mind at ease. We understand that the process behind obtaining a Special Events Permit in Miami can become a confusing and exhausting task. That is why we dedicate ourselves to handling the calls and paperwork so that you can go back to focusing on making your special event as extraordinary as you envisioned. Find the help you need to ensure that your special event runs smoothly and contact Florida Land Use Consultants today! Our team is ready to assist in the entire process of applying and addressing any of your concerns along the way. Give us a call at (786) 464-9254 or click here to fill out a contact form now! Planning on Building a Pool in Your Home? Find out About All the Permits You Will Need! The sunny and tropical South Florida climate often encourages homeowners to spend as much time as possible outdoors, soaking in the fresh air. For this reason, homes are are either built or renovated to meet the needs of its occupants. Individuals who wish to make their homes more outdoor-friendly may wish to construct a patio area or install a pool in their backyard. However, before taking any action, you must secure your Residential Permits in Florida. A residential permit is required by homeowners that are looking into making changes to their property. This permit needs to be reviewed and approved by the County in which you reside in to determine whether the construction changes will violate any neighborhood, community, or county guidelines. Homeowners may not realize the importance of seeking Residential Permits in Florida until it is too late. Individuals who choose to ignore their community guidelines and construct whatever they please may encounter serious repercussions. Some of these consequences may include major fines. In order to ensure that your renovation plans coincide with the expectations of your area, it is best to contact an expert. Our team at Florida Land Use Consultants specialize in assisting homeowners and business owners with organizing the paperwork necessary to receive the approval that is needed to begin construction. We pride ourselves in providing excellent customer service, taking the extra time to carefully explain and guide our clients through interpreting the laws and guidelines that are oftentimes confusing. 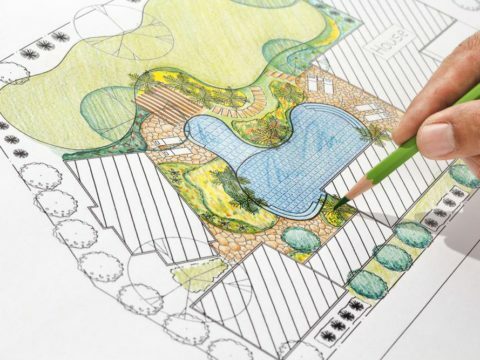 Florida Land Use Consultants can put you on the right track towards building the pool you have always wanted in your home. We will investigate whether construction of the pool is allowed in your community, and proceed to seek the permits you need. When partnering with us, you can be sure that you’ll be on the right path every step of the way. Get started on applying for the Residential Permits in Florida you need to begin construction on your outdoor pool. Give us a call today at (786) 464-9254 or click here now to receive your free estimate!